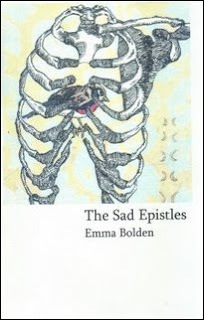 During my first reading of Emma Bolden’s The Sad Epistles, I was slightly worried that Bolden’s poems weren’t working hard enough, that the honest-to-god ache she relays, akin to the ache we often hear/feel in pop songs, wouldn’t be enough to carry me through the chapbook again and again. However, with subsequent readings, I fell more deeply in love with the poems and their earnestness, humor, and terror. 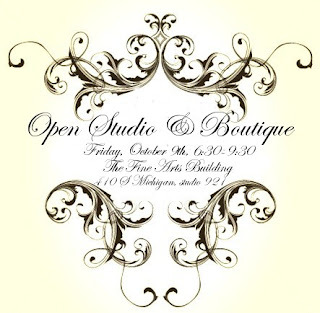 All on Fri., Oct. 30, 7 - 11 p.m. Consider it Chicago's largest Halloween party for visual artists, poets, and writers. Plastique Press and the Near Northwest Arts Council present a new interactive poetry/visual art series - Exquisite: A Series of Corpses. Poets and writers will join artists on stage with a live model, drawing materials, and typewriters. 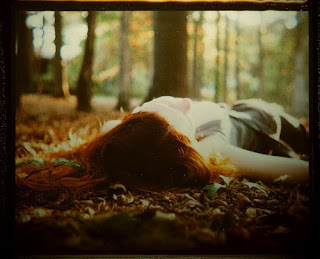 Poets and writers are asked to create new works, hand or typewritten, based on the model, the art, the event, the people. Artists are asked to draw about the same, including the written works. The result will be a sort of immediate broadside. Sound and video artists are also invited to come and create new works based on the event. This event follows in the history of exquisite corpse parlor games. 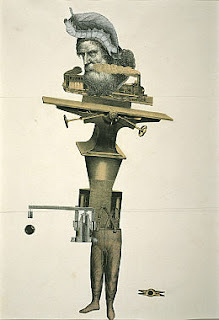 Exquisite corpse is a method by which a collection of words or images is collectively assembled by a group of people. Each collaborator adds to a composition in sequence, either by following a rule or by being allowed to see the end of what the previous person contributed. Exquisite takes place at the Near Northwest Arts Council at St. Paul's Cultural Center where the exhibition Binary: A Pairing of Opposite States is currently on view. This event is an extension of the Wetware Render Machine drawing performance that happened there on Fri., Oct. 9 to great fanfare and with beautiful results. Plastique Press will then publish an enhanced eBook of the works produced that night, with each poet, writer, and artist being credited as an author. Sound, text, visual art, and video will become part of the final book. Works produced during Exquisite will be hung in the exhibition space through Nov. 7, 2009. The eBook will be released in early 2010. CIMMFest will also present a series of short films during the event. There will be music as well. Event takes place upstairs. CIMMFest will present short films downstairs. Karen Becker, Ray Bianchi (Cracked Slab Books), Waltraud Haas Bianchi, Kristy Bowen (Dancing Girl Press), Melanie Brown, Mia Capodilupo, Joshua Cotter, Skye Enyeart-Rust, Philip Jenks, Dana Major Kanovitz, Jacob Knabb (ACM), Francesco Levato (Poetry Center of Chicago, Plastique), Lauren Levato, Darrell Roberts, Adam Rust, Fred Sasaki (Poetry Magazine), Larry Sawyer (Milk Mag, Myopic), Momoko Usami, Lina Ramona Vitkauskas, Barbara Wakefield, Jackie White and others not mentioned here, including audience members. Artists models: Dalawn Simpson and another TBA. I've yet again made it to the end of the week and only accomplished about half of the to do list that I made Sunday night, but perhaps I am just being way too dreadfully ambitious when I make the list. I did finally finish up the last two chaps of the latest batch and have been printing and assembling over the past few days, but then there is also the next ones to lay out and a good chunk of new manuscripts left to wade through and make final cuts. Out of the initial batch, I was able to cut them by a third down to a manageable number to read more closely in the second round, but that's still a sizeable number of manuscripts for only so many slots. I am determined yet again to make sure that for every book that I we publish by someone whose work I'm familiar with (via aquaintance, having followed their work or published them before, having solicited a mss, etc..) I want to publish an equal number of folks I've never heard hide nor hair of. Once again, I am astounded by the things people send us..so much of it, even the things I've had to reject, is at the very least publishable, even if not to my personal taste. I have to admit, I initially worried a little. 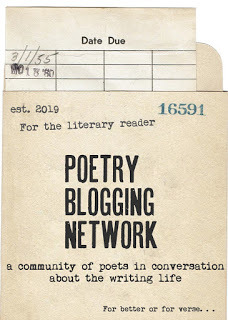 After the P&W article a couple of years ago, I feared that with a bit higher a profile we might attract the slushiest of the slush pile, but submissions have remained strong, and so many poets have found us by word of mouth. We get more than I ever dreamed we would, and who would have known it from the rather inauspicious first round of subs--I think there were around 20 maybe..
At the same time I'm torn... part of me says keep forging onward and keep publishing as many books as I want, taking whatever mss I just have to have, and the other impulse which wants to kick me in the head and ask me what the hell I was thinking taking on so many books and falling always behind.. There has to be a balance in there, between this year's insane schedule and cutting back too much. I am also busily packing and filling chapbook orders from the Fall sale, which will continue through the end of this month...we got slammed with orders in the most delightful way, and I'm running about two or so weeks behind, but am progessing slowly, so they should be on their way soon. The stock has dwindled to the point where I have to make everything on demand, so it's taking me a little longer to get thm out than usual..I also have a new subscriber batch of new books set to go out next week as soon as I print the shipping labels. I will be reading with a few other poets in between the music sets at this event, which looks to be excellent fun and great cause. 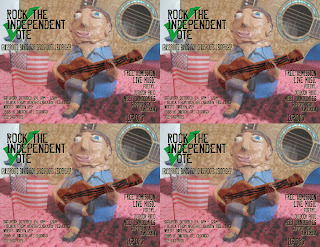 Music, Poetry, Candidates, & more! 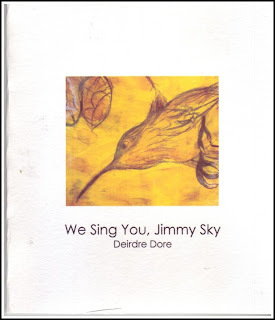 Deirdre Dore’s poetry and plays have been published and/or produced in journals and on stages in the USA & Canada. Originally from New York, she now lives with her husband alongside a river in British Columbia where she catches horses, pursues an MFA in Creative Writing and works with trees. 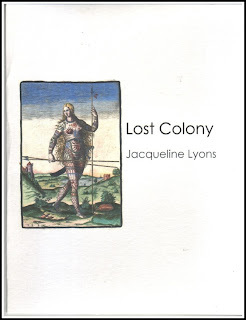 Jacqueline Lyons is the author of the poetry collection The Way They Say Yes Here (Hanging Loose Press, 2004). Her poetry and essays have appeared in many literary journals as well as the poetry anthology Oh One Arrow (Flim Forum Press, 2007). She has received a National Endowment for the Arts Poetry Fellowship, the Peace Corps Writers Best Poetry Book Award, the Indiana Review Poetry Prize, and a Nevada Arts Council Fellowship. Her nonfiction has been nominated for Pushcart Prizes and cited in Best American Essays. She is a certified instructor of Ashtanga Vinyasa Yoga, and teaches creative writing at Washington State University. 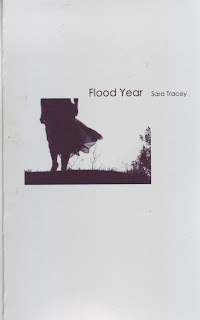 Sara Tracey is a poet and PhD student at the University of Illinois at Chicago. Her work has recently appeared in Hiram Poetry Review, Keep Going, Harpur Palate, Wicked Alice, Lily, Hobble Creek Review, and FRiGG. 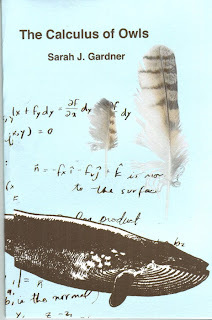 Author of How To Study Birds, a chapbook collection in its second run from Dancing Girl Press, Sarah Gardner is a poet and teacher whose work has appeared in many distinguished journals. She has received fellowships for her writing from Blue Mountain Center as well as the Vermont Studio Center. Her recognitions include an International Merit Award from The Atlanta Review and second place honors from the Juniper Creek poetry contest. She has been proudly affiliated with Houston’s Writers in the Schools, a program the brings creative writing instruction to at-risk youth. Currently she lives in Iowa and teaches for St. Ambrose University. Sarah holds an MFA from Syracuse. 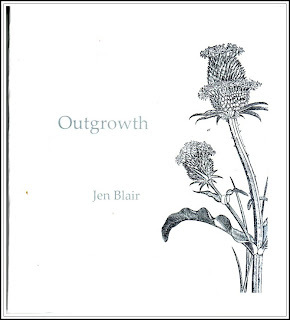 Jen Blair spends a lot of time personifying vegetation in writing and photography. 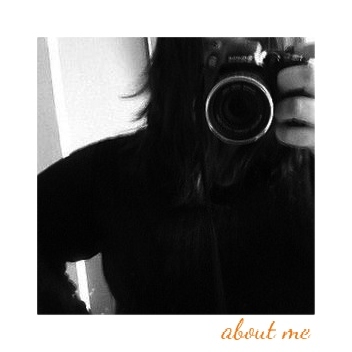 She also makes books and pamphlets, and writes essays and poems about her social concerns. For a living Jen tells Returning Adult Students what classes to take in college, but she is perfectly happy to give you advice for free. 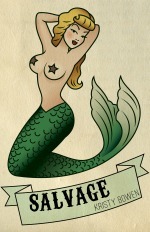 Her work has appeared previously in wicked alice. Occasionally I have almost surreal moments of very zen-like happiness. I guess I tend to notice them as almost like a lull between the craziness, the running here to fro, the costantly wanting and planning and organizing, the listmaking and the OCD worse case scenarioing. I was standing there during the open studio on Friday night, trying to get some work done while people were filtering in and out browsing, multi-tasking as I usually do, wrapping some of the newer collages in cello and packing up some chapbooks orders. It occured to me how nice this was. 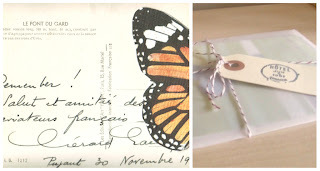 How much I enjoyed making and selling things, art and poems and books and papery goodness. all the other pretty and scrumptious things in the shop. How lucky I was to be able to do this, to have the studio, the press, to be able to publish and write poems (at least without that nasty ambition bird hanging over my head so much). To have the shop with all my very favorite things in it. Mind you, I do all of this on a regular basis, but rarely am I really "present" in the moment, my mind is usually frantically ticking off that to do list, planning the next thing, mapping out the next move, the next obstacle. And I too inherited my mother's worrisomeness--the freaking out, the anxiety about being behind, being off schedule, getting orders out in time, sales being too slow and worrying I won't make the studio rent, sales being too good and worrying about getting them all out, I feel like for the past two years especially, it's been a crazy ride. And I wouldn't say I spend the rest of the time unhappy by any means, and in general, despite brief cranky moods, am pretty much usually a generally happy person, but moreso that my usual mood is more like an anxious contentment than any happy sort of bliss. And of course, my zenlike moment was swiftly dissipating as I was working on a supply list of several new things I'm hatching for Christmas in the shop, as well as the new chapbooks whose covers I need to scan, a few tweaks to be made, copies to be mailed, the much tardy wicked alice issue that will be up in the next couple of days, the poems that need to be submitted, the manuscript that needs to be submitted, the dgp submissions that need to be read, hopefully all by the end of the the month Top it off with another big wholesale order (this time notecard sets) and a big batch of chapbooks for one of our poets, and you can see what a typical week is like. But it felt good to just take a breath and realize how much I really enjoy what I'm doing, depite it occasionally feeling like it's a little too much. On the plus side, I have now, after today, fulfilled my share of weekend days for the library, I've realized how much I desperately need those two days free of pretty much all the usual obligations to keep my sanity. brass and acrylic rose necklaces in new colors. 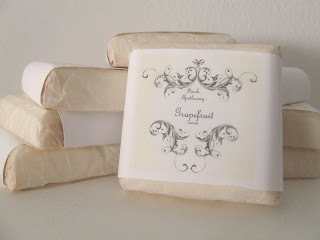 This tangy and tart goats milk soap is delicious, and a perfect wake-up soap for those oh-so-hard-to-get-up winter mornings. Available here, and also as part of the 3 for $10 deal. Indeed as I suspected Thursday evening, I managed to finally come down with a cold this season, having just been bragging that I'd made it through September for once. This one is actually not too bad, and I'm swiftly on the mend, but I am holing up in the apartment this weekend. The last couple of nights I ordered chicken noodle soup from takeout places and found them sadly lacking (one not enough noodles, one way too salty), so once my groceries are delivered this afternoon, I aim to whip up a pot of my own, along with some fried apples I've been craving like mad. Thursday night's reading at the Revolving Door series was a great time. Red Kiva is super slick and swanky, and I felt like I should have been draping myself over the piano and singing torch songs rather than reading poems. I think they are actually aiming for an interdisciplinary vibe with music and comedy and such in the coming months. It's a totally new series and their next one is in November, so watch the calendar for details. Friday night at St. Pauls was also a success, a full crowd with even some people standing and our poets ever so amazing. I also sold nearly every copy of all four books and had to send a couple of the poets home short handed on their author copies. 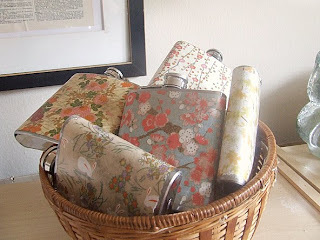 I've been doing various things with flasks for a couple years now in terms of different papers, images, etc. 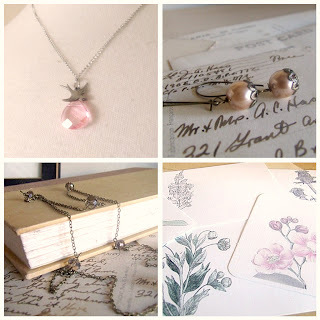 These are covered in some gorgeous japanese chiyogami florals and then sealed with an acrylic glaze...available here..